and 35 years since the historic Mabo land rights decision. Jason Pellegrino, Google Australia managing director, welcomes employees to the Reconciliation Action Plan launch. The theme for Reconciliation Week in 2017 is ‘Let’s Take the Next Steps’ and today Google is taking a big next step by launching our first ever Reconciliation Action Plan. Last year we promised to create a plan to take practical actions, build respectful relationships and open up new opportunities for Aboriginal and Torres Strait Islander peoples. We are happy to say that we have done just that, and we’re grateful for the support from the people at Reconciliation Australia, who have played an integral part in our reconciliation journey so far. Gadigal elder Uncle Max performs a traditional smoking ritual. But it is just the start of that journey, because there continues to be unacceptable gaps between Aboriginal and Torres Strait Islanders and the rest of Australia. We can’t ignore the past and must face the fact that past policies and European settlement had a devastating impact on Aboriginal communities. 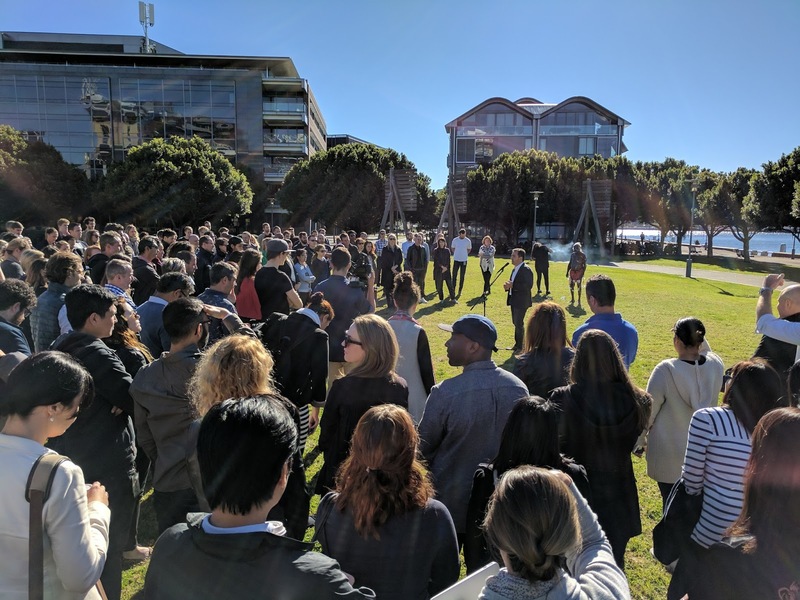 At Google we believe we can best serve Australians by embracing and striving to understand the many diverse, complex and ancient cultures of our vibrant community. We recognise that we can’t sit idly by in the path towards reconciliation - it must live in the hearts, minds and actions of all of us at Google, regardless of background. This RAP, developed by a cross-section of passionate Googlers on behalf of their colleagues, articulates our joint vision for reconciliation in Australia and the actions we will take to be better partners with Indigenous Australia. 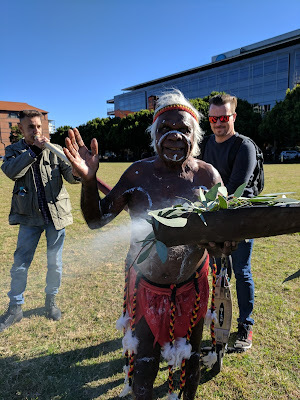 Respect - Raise Google employee awareness of, and respect for, Aboriginal and Torres Strait Islander cultures, histories and achievements, in order to build an appreciation of life in Australia from an Aboriginal and Torres Strait Islander perspective. Opportunity - Provide better access to technology for Aboriginal and Torres Strait Islanders, and a greater focus on building a pool of future technologists that better reflects Australia’s diversity. Singer Christine Anu performs her song 'My Island Home' at the ceremony. Our objective is help build stronger and more respectful ties with Aboriginal and Torres Strait Islander peoples - and help ensure that all Australians can share in the opportunities created through technology. Reconciliation Week in Australia is a time when all of us celebrate and build on the respectful relationships shared by Aboriginal and Torres Strait Islander people and other Australians. We think of proud peoples who for tens of thousands of years have been maintained a deep connection to the land - with an incredible history and proud culture. 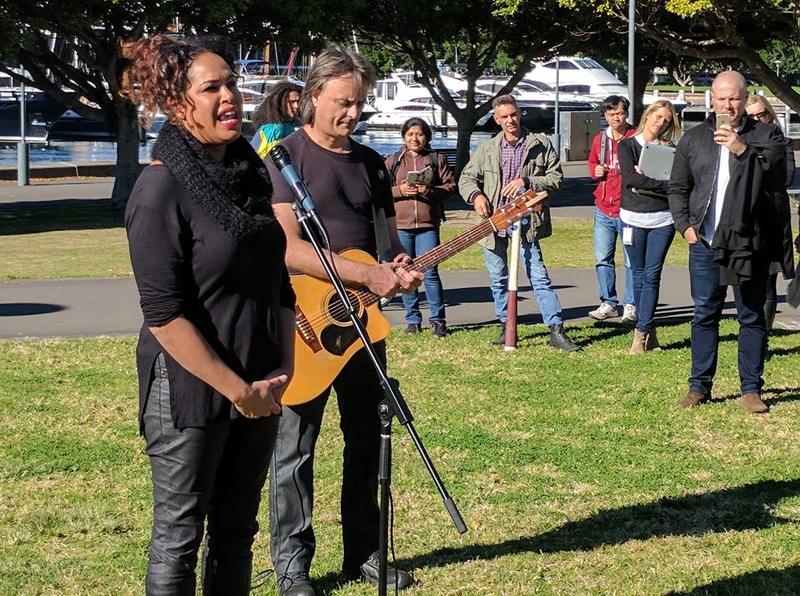 This year, Reconciliation Week marks two important milestones: It is 50 years since the 1967 Referendum and 35 years since the historic Mabo land rights decision.